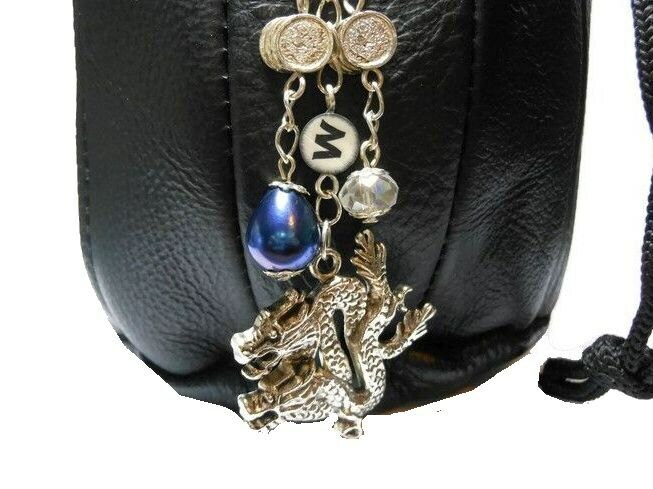 Personalized dragon clasp, Tibetan silver dragon, Swarovski AB crystal, blue cultured pearl, coin charms, purse clasp, dice bag, keychain. 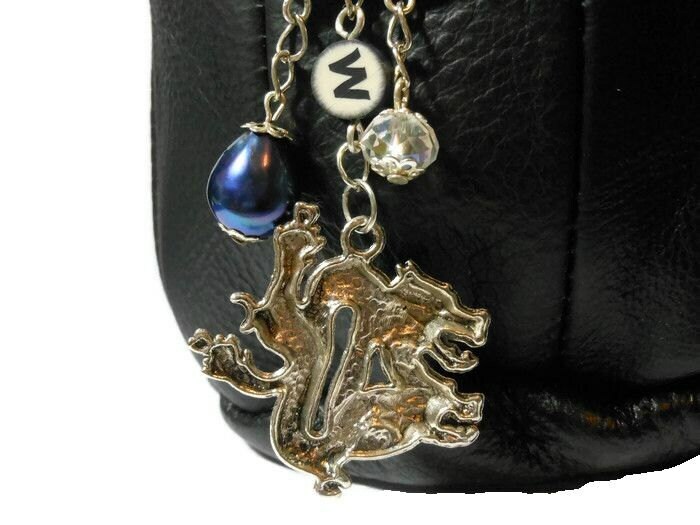 Attach it to a key chain, backpack or a purse. Call it what you will and use it how you want. 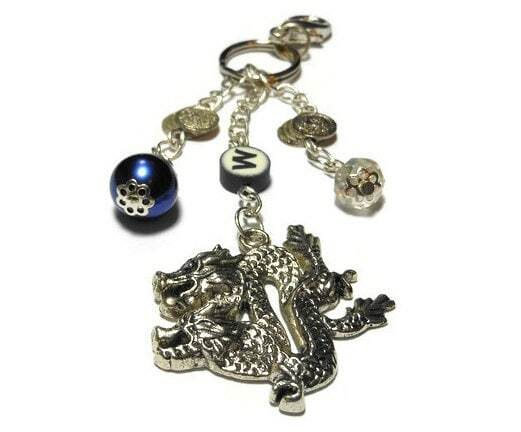 The dragon is Tibetan silver the findings are all silver plated the coin charms, keyring and clasp are silver tone. The Personalized initial monogram is polymer clay. 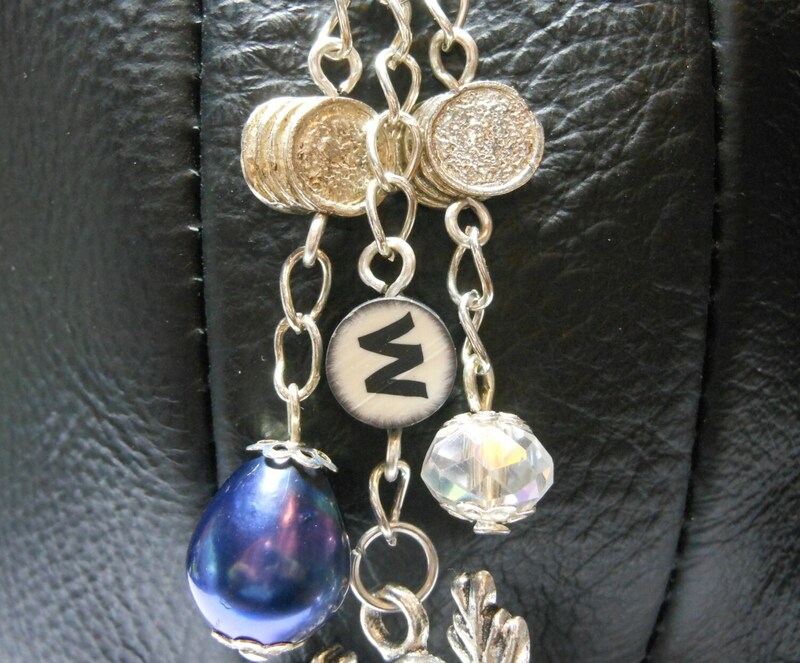 It can be made with or without the key ring, just let me know. 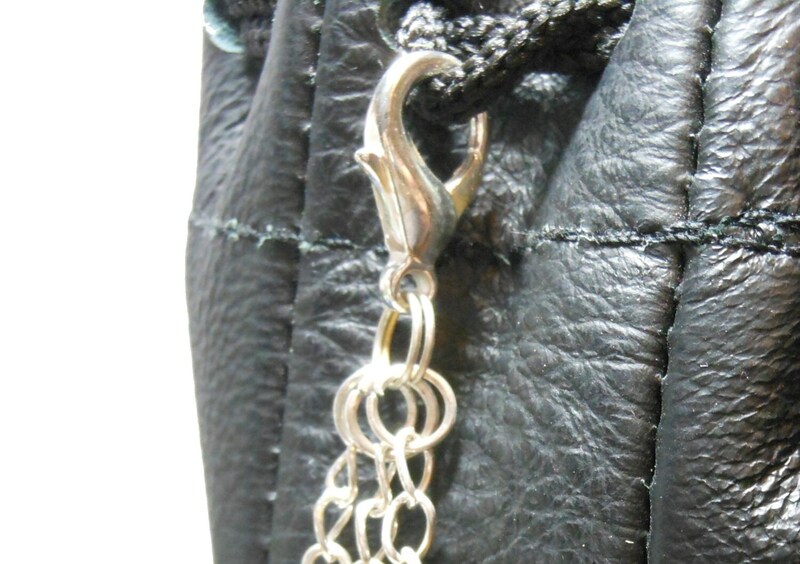 From the top of the clasp to the bottom of the lowest bead it measures 4" (10.2 cm).